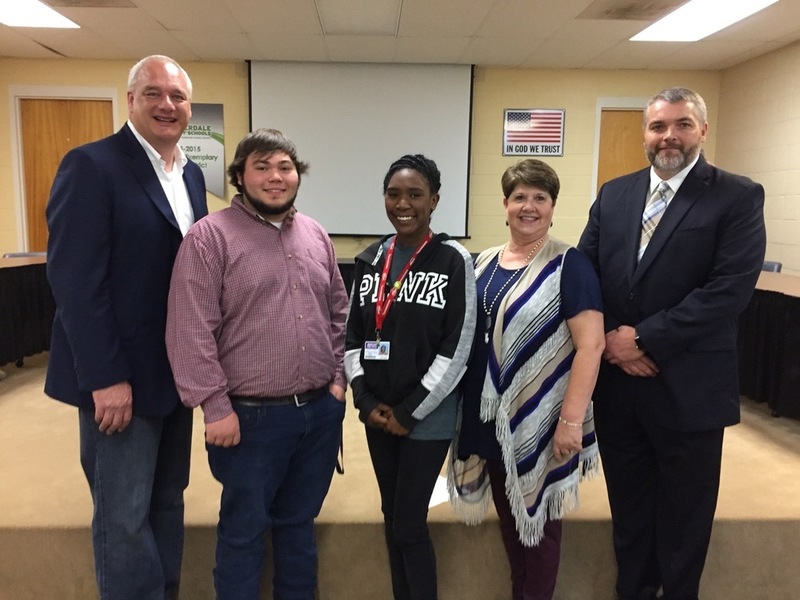 Ripley High School students Jacob Hearn (senior) and Nitoria Washington (junior) spoke to the 2019 WestStar group about their experiences in CTE programming. Both students currently have industry certification that they have earned in high school. Jacob plans to attend TCAT-Ripley on graduation and Nitoria will pursue a career in Early Childhood at DSCC. Pictured with the students are UTM WestStar coordinators Charley Deal and Virginia Grimes and Superintendent Shawn Kimble.